Strategically investing to maintain its long-standing leadership in advanced semiconductor technology, Samsung Electronics today broke ground on a new extreme ultraviolet (EUV) technology line in Hwaseong, Korea. 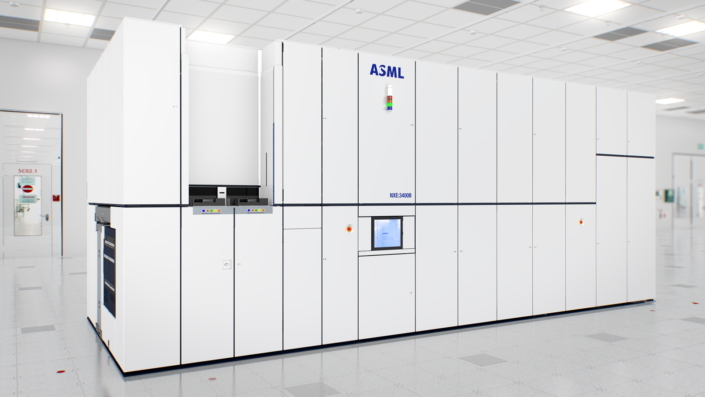 The new line, with initial investment expected to reach USD 6 billion by 2020, will focus on cutting-edge EUV technology considered core to the next generation single nanometer semiconductor era. Here, we explore exactly what EUV is and why it is so integral to developing next-generation chips. In the semiconductor industry, EUV refers to extreme ultraviolet lithography, a technology that is expected to bring a radical progress to one of the most important steps in semiconductor manufacturing, photolithography. When producing semiconductor chips, silicon-based round disks, called “wafers” are coated with a light-sensitive substance and enter a system called a “scanner.” Inside the scanner, a laser light source is cast onto the wafers to create patterns of circuitries, which later are used for forming billions of ultrafine, microscopically small structures, inside a semiconductor chip. This process, while described very concisely, is known as photolithography. With EUV technology, an EUV system, or EUV scanner, will now be able to perform the photolithography step by utilizing a light source with an “extreme ultraviolet” wavelength. In the world of chip manufacturing, realizing finer circuits is a must, as it enables integration of a greater number of components inside a chip and therefore building faster and more energy efficient chip. The utilization of an EUV light source will allow for defining finer and denser patterns than previous methods because of its shorter wavelength, which is essential since light isn’t able to directly define features smaller than its own wavelength. Upcoming EUV scanners will, specifically, utilize EUV radiation at a 13.5-nanometer wavelength, less than 1/10th of what current ArF excimer laser scanners are able to provide. How will EUV be implemented? Today, semiconductor chips are being used in almost every electronic device imaginable, and EUV technology will be utilized to produce the most advanced semiconductors for mobile, server, network and supercomputing applications. For its part, Samsung plans to utilize EUV starting with its 7-nanometer LPP (Low Power Plus) process, a cutting-edge technology that the company expects to apply by the second half of 2018. Samsung’s new fabrication line in Hwaseong, which will be ready for production in 2020, will also be set up with EUV technology to provide leading-edge semiconductor products to global market.